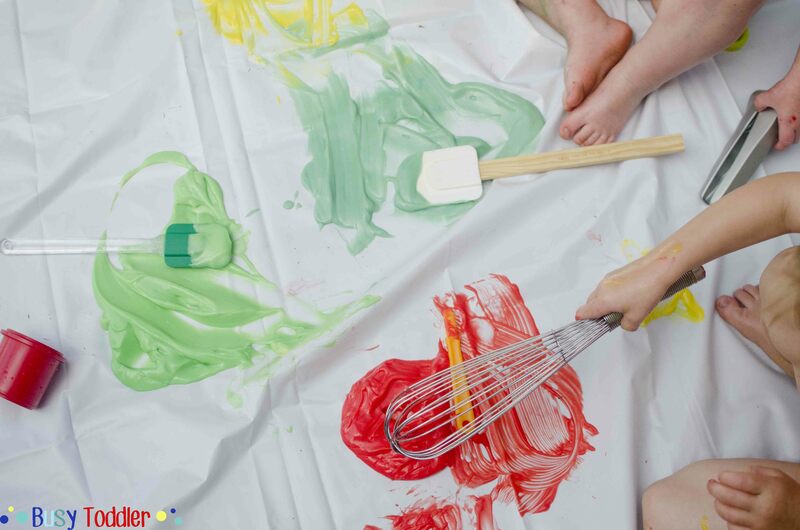 Pudding Painting: a delicious toddler sensory activity. This was one of those uber-sophisticated parties that you just really hope to be invited to. 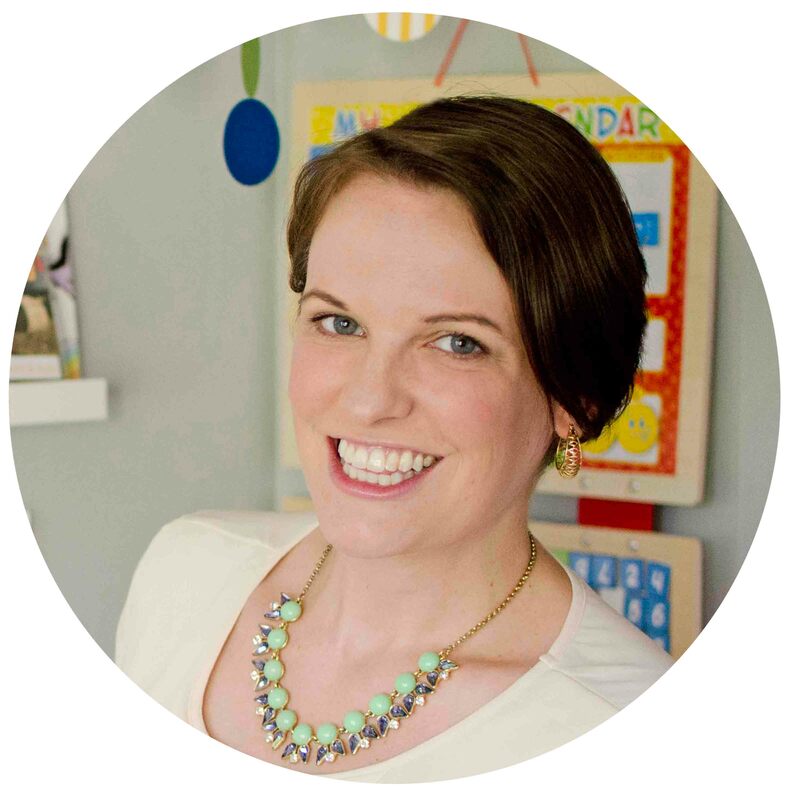 Two of my toddler’s besties came for this party and it did not disappoint. Pudding painting was a snap to set up. What I loved about this activity was how silly it was. It was so random, it was so fun. 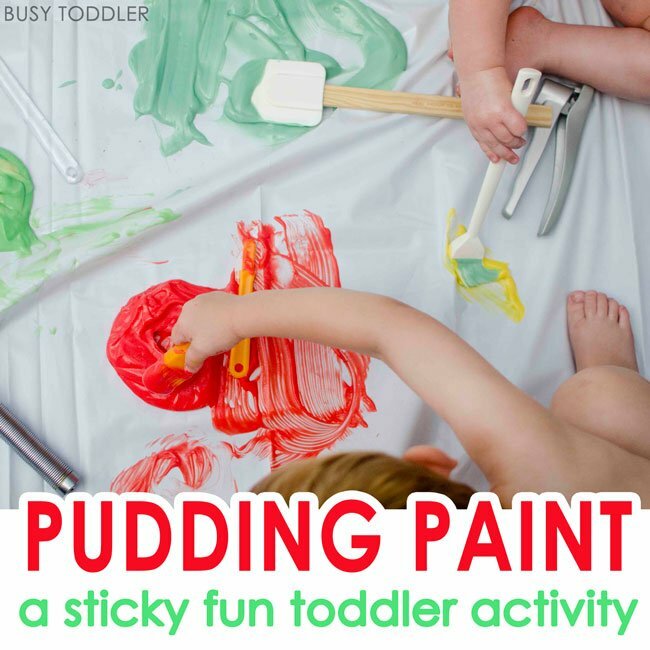 Letting kids paint with pudding? 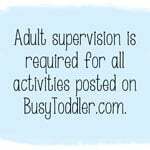 What kind of crazy moms are we? I should also mention up front that the toddlers did a great job showing restraint and not eating much pudding. Color me surprised. The Moms however…well, we definitely sampled our fair share of pudding paint. Here’s how Pudding Painting went down. Pause. Let’s talk about this shower curtain for a second. I bought an extra shower curtain liner to use as a make shift toddler tarp. It was my best Mom move to date. 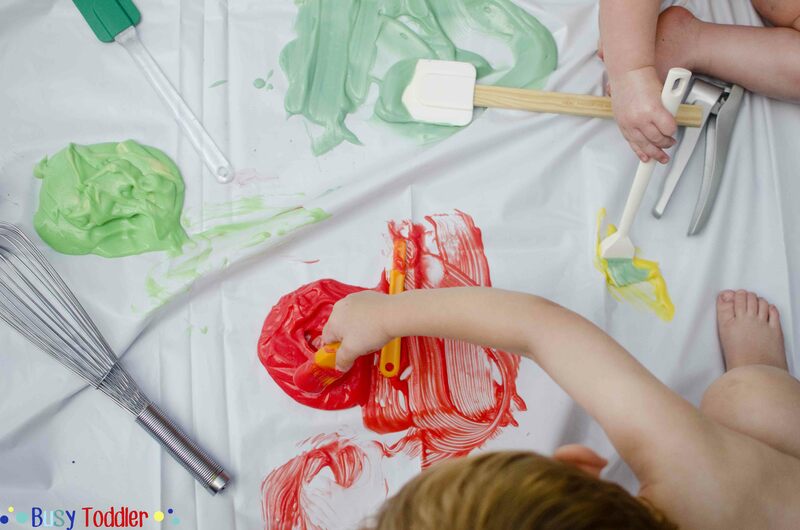 The shower curtain liner is the perfect size for toddler bodies and can go right in the washing machine or be hosed off outside. I made the vanilla pudding per the directions on the box and let it set up to perfection. After it set, I spooned it into some smaller bowls and added the food coloring. Don’t worry – the food coloring doesn’t change the taste and it was still just as delicious dyed red. I ate plenty before and after I dyed it so I can say this with total confidence. I globbed the pudding out onto the shower curtain, added some brushes and kitchen utensils – oh and three naked toddlers. 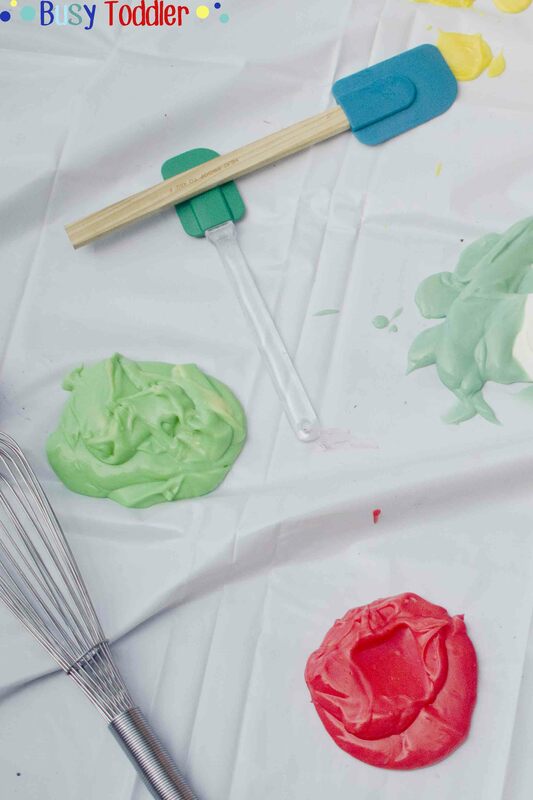 The kids had so much fun experimenting with the pudding, smooshing it, painting it, and of course, eating it. Duh. They made delicious art, fabulous memories, and then went right into the bath tub to get their stinky bodies cleaned off. The shower curtain was a quick hose off on the patio and all was clean and perfect in under 5 minutes. Love when it’s a fast up and fast take down project – especially when it involves a mess like this. 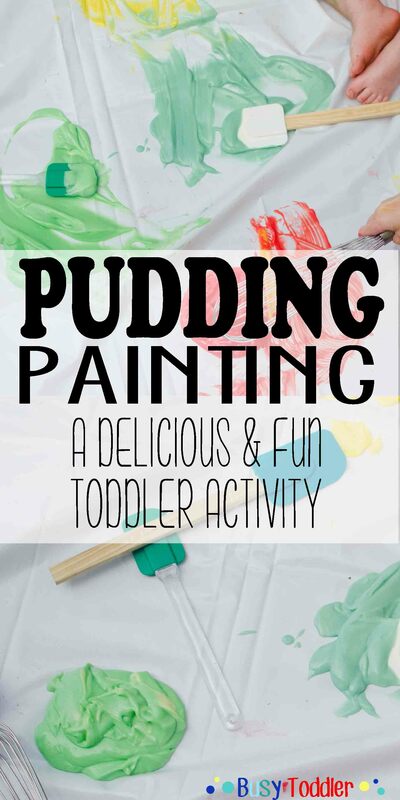 Pudding painting gets two very big thumbs up from us! Fun! I know my one-year-old would love this!